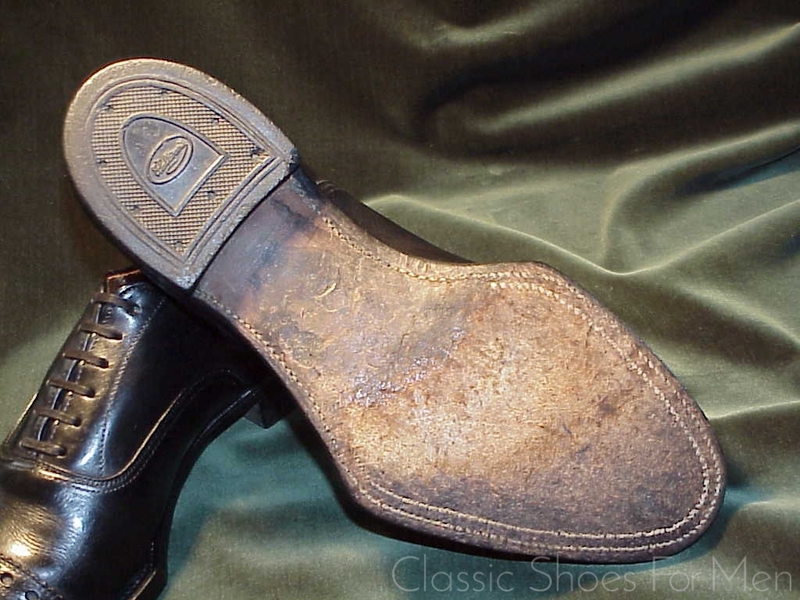 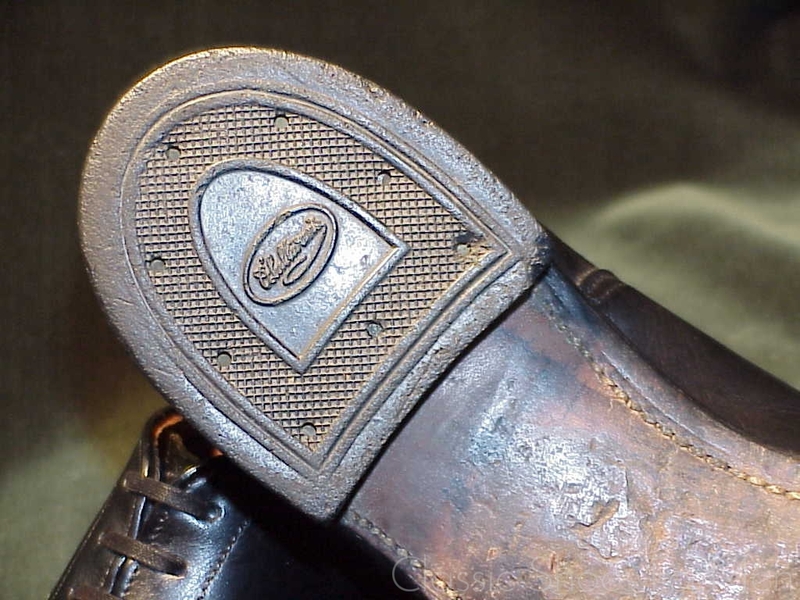 A museum piece, both for its great style and its unusual construction -notice the double hand-stitching of the welt, the double point spade and the narrow waist. 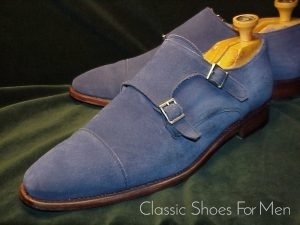 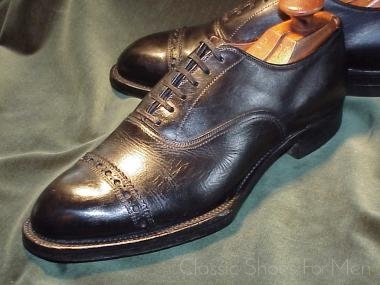 A design masterpiece and a paragon of craftsmanship, this shoe was created with no regard for caution or convention, and with only the artists willful fantasy as a guide; all in all, a wonderful and very successful foray into the outer limits of the cordwainer’s art. 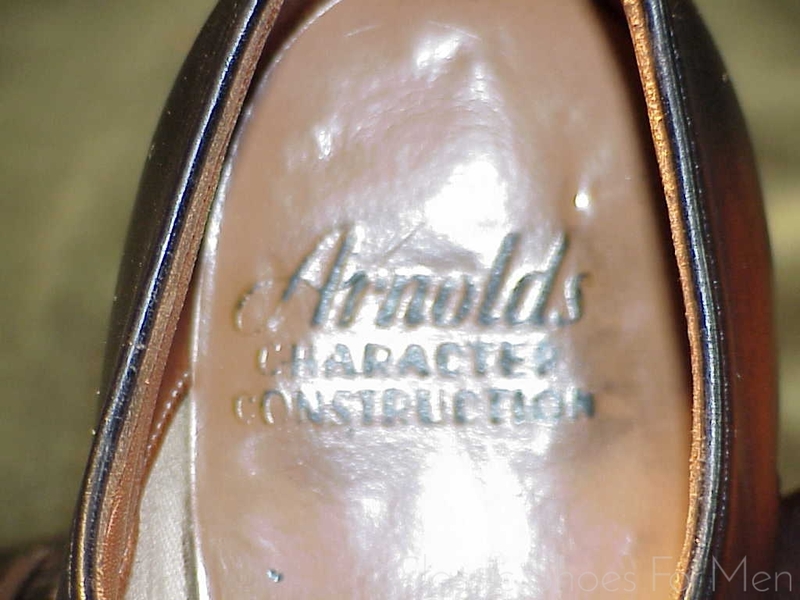 To my recollection, until at least the late 1960’s, Arnold’s Boot Shops, located at 900 Chapel Street in New Haven, was a fashionable shoe store catering to both ladies and gentlemen. 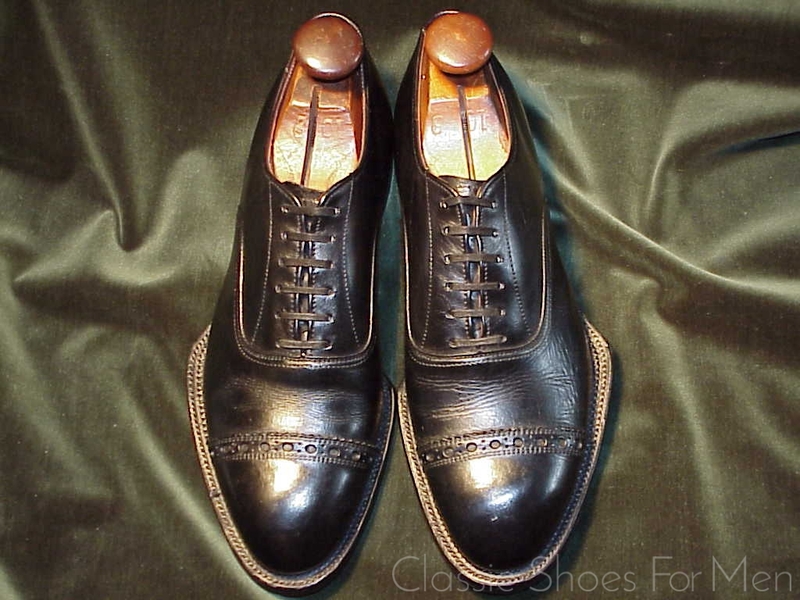 This was a “downtown” shop, too expensive for most Yale undergraduates, at least the ones I knew, but the owner, Merwin Brochin, was well known to young and old in New Haven, as he also managed rock ‘n roll groups, including the Hall of Famer, Gene Pitney, and the local Doo Wop/R&B vocal quartet The Pyramids. 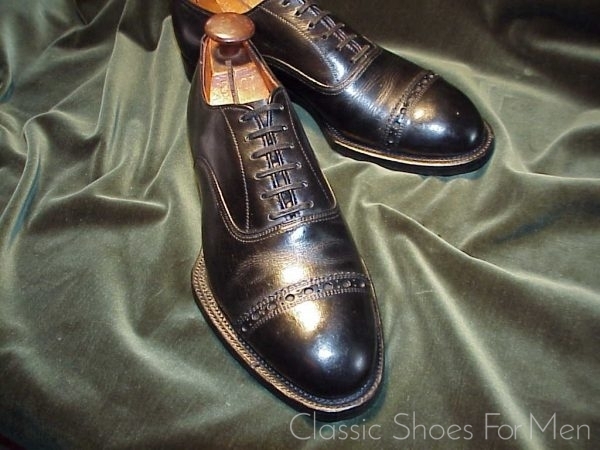 Mr. Brochin was an eminently fashion conscious gentleman and remarkably well dressed. 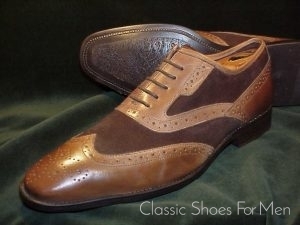 His uncompromising taste was fully reflected in his buying the best American men’s shoes for his store. This wonderful work of art, no doubt made to order, is a prime example of Mr. Brochin’s discerning eye. Unfortunately no record remain from the earliest days of the firm. The name of the master shoemaker in question is obscured by time. 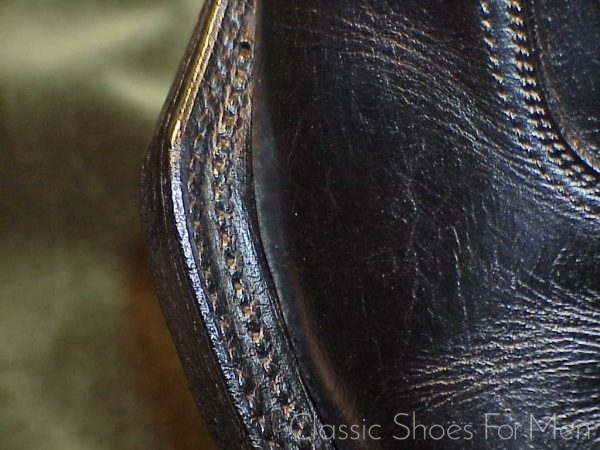 Size: US 8D…..(UK 7E)….. (Continental 41D), for the medium width foot. 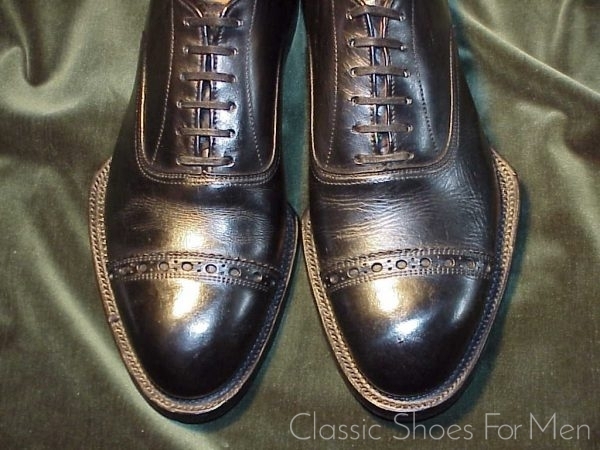 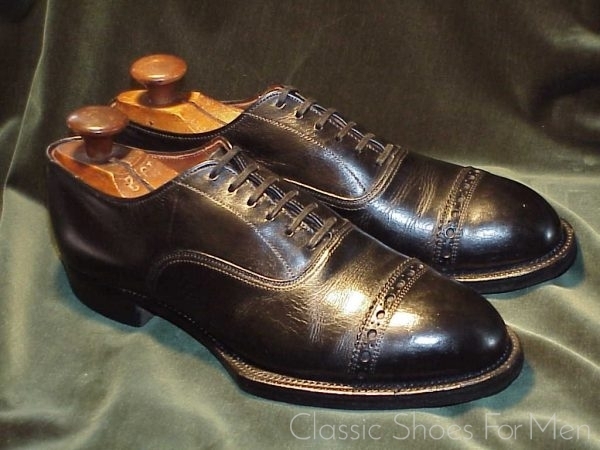 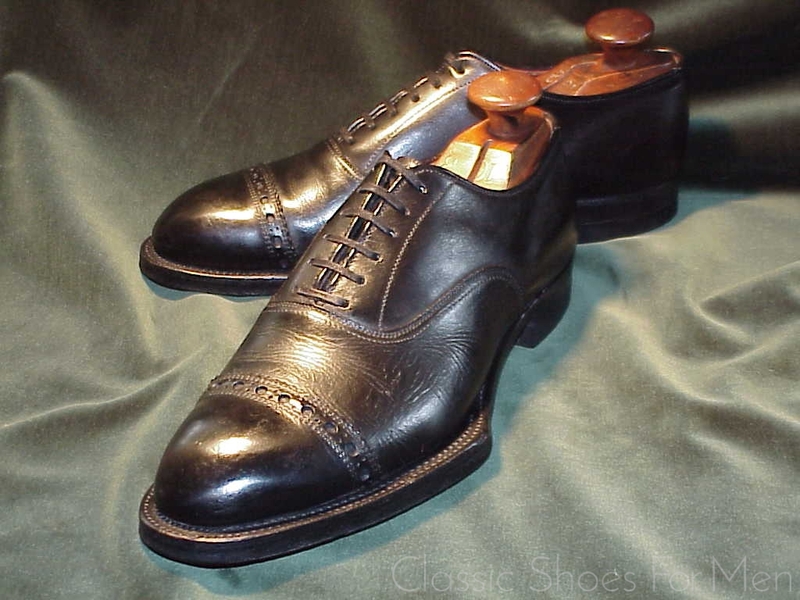 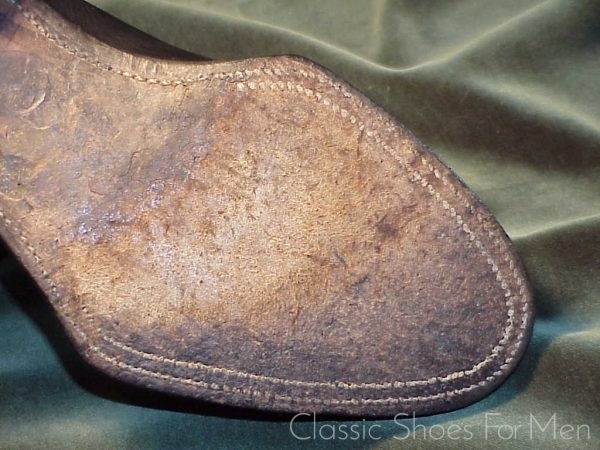 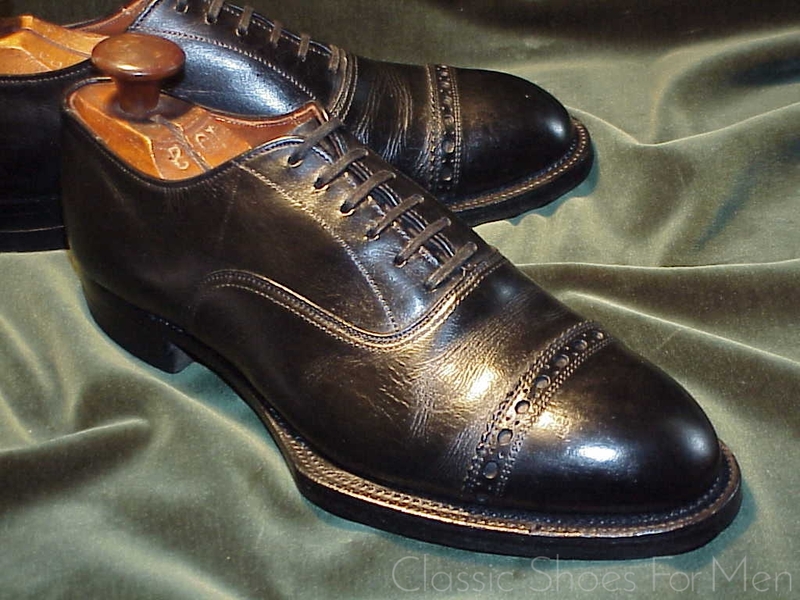 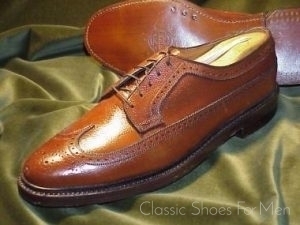 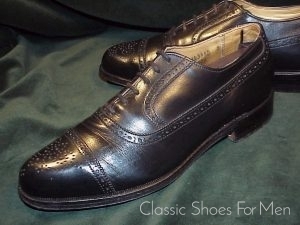 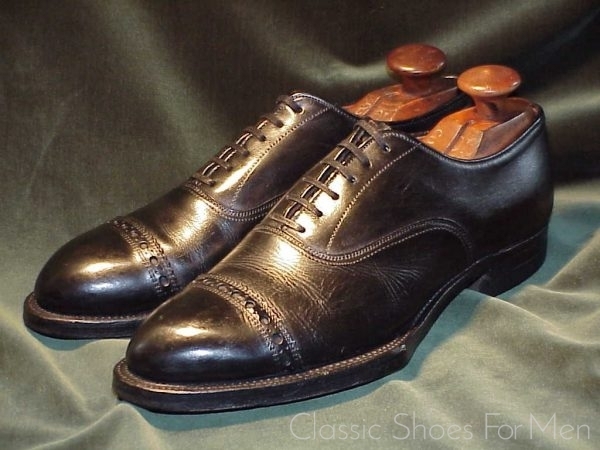 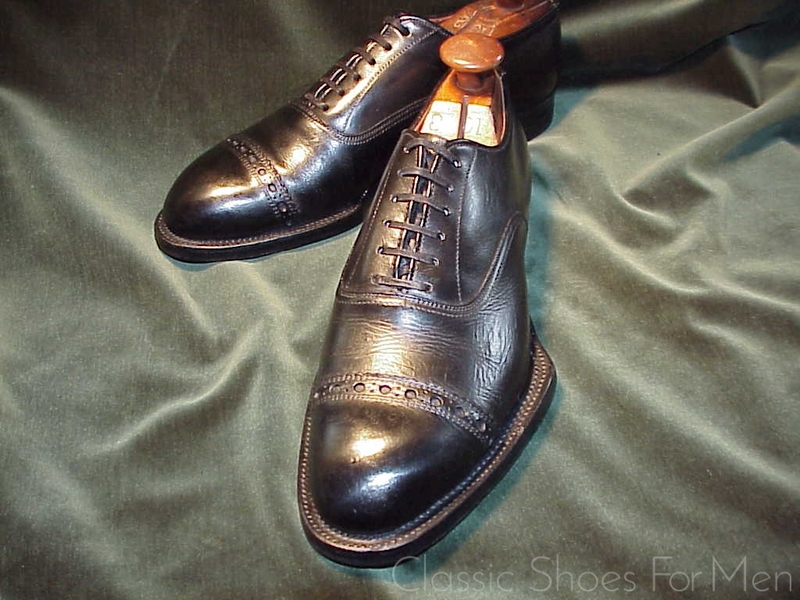 Condition: Excellent as shown, All original including original O’Sullivans rubber heels.